The 39-year-old sought medical advice because of what she thought was a migraine. It turned out she only had 24 hours to live. 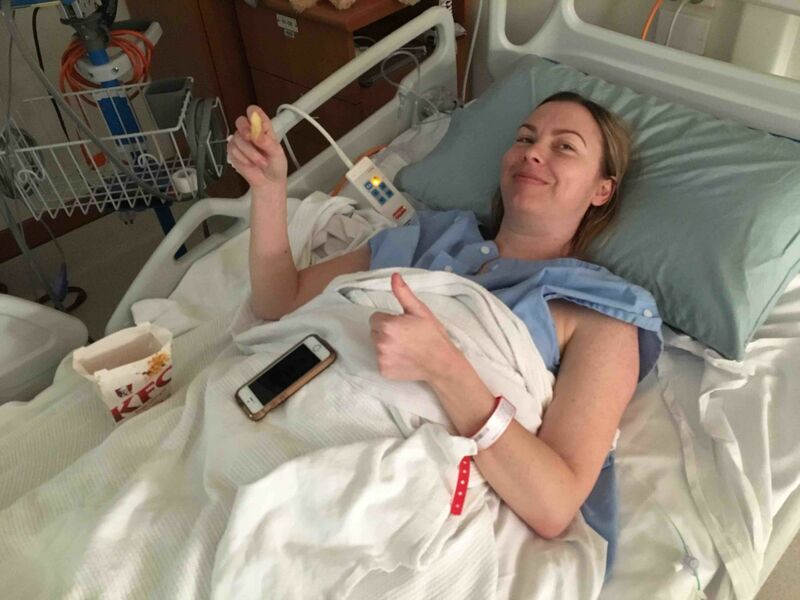 39-year-old Renae Williamson, from Australia was suffering from a headache and sought medical attention for what she thought was a migraine, but when she got to the hospital she got news she would never forget. They told her if she hadn't gone into the doctor's to get checked, she would've only had 24 hours to live, reports The Mirror. When the couple found out the horrible news, they couldn't believe it was true, Renae's husband went pale in the face and became grey, she would never be able to forget her husband's expression. It was during the summer of 2017 that the family received the devastating news, what she thought was a migraine turned out to be a tumor. And if Renae hadn't sought medical advice, she probably wouldn't be alive today. "We both [my huband and I] just looked at each other and cried," she told Mama Mia. She was forced to sell her home, quit her job and use up all of her savings to get through the disease. After the doctors discovered the tumor, they had to start the treatment immediately, she got multiple scans and MRIs, and had to be monitored 24 hours a day. 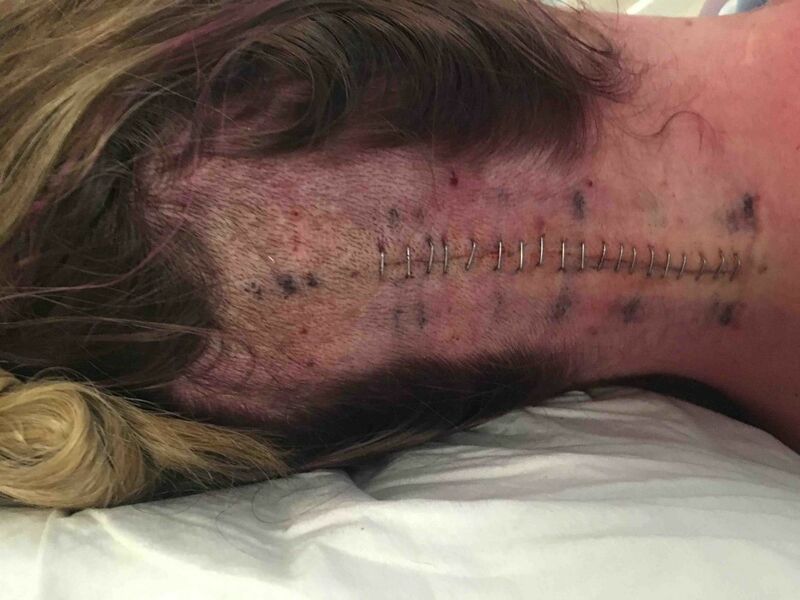 Fortunately, the doctors were able to remove the tumor in her head, but she was left with large scars and 19 staples. Unfortunately, there were some complications following the surgery, which meant she had to be hospitalized once again. "I cried so much. I felt completely helpless. For the first time, I was scared and nervous about what was happening to me." She thought she would die. 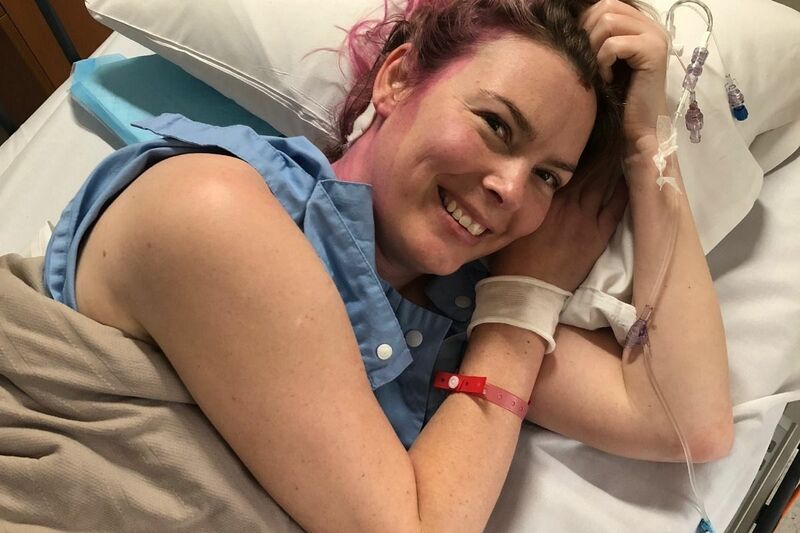 "I thought I was going to die just before ... sorry... just before we went and had the tumour out," she said with a lump in her throat to 7 News. She was also diagnosed with skin cancer, which came as shocking news. After further treatment, the tumors slowly but surely began to shrink. The treatment has not only been stressful for her health, but also for her finances. On her GoFundMe page where she tries to raise funds to finance the costs of her disease, she writes that all her savings have been used up to pay for the treatments. "If we didn’t receive vouchers for the movies for birthdays and Christmas we wouldn’t be going out at all," Renae wrote. Now she urges others to make sure to get check if something doesn't feel right. "Melanoma can regress quickly, which is the theory behind my diagnosis. A mole doesn’t always change, your skin might always show it’s there. So then how do we beat it? Be vigilant. Don’t be afraid to check and get to know your skin," writes Renae. She concludes by thanking her family, and dear ones for their support, and saying she will get through this, as she still has so much more to live for. We can only imagine what a nightmare this has been for Renae and her family, but they are so incredibly brave to open up and talk about their situation!